The 308 Bolt Carrier Group is one of the most confusing aspects of the 308 AR platform. Unlike the AR-15 there is no mil-spec 308 Bolt Carrier Group. While it is possible to make some of the competing designs work with each other we do not recommend that path. Lets simplify things somewhat. You can only use an AR-10 Bolt Carrier Group in an Armalite AR-10 Rifle! 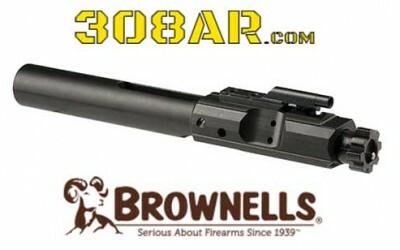 You cannot is an AR-15 Bolt Carrier Group in any 308 AR or AR-10! You can only use a Rock River Arms RRA LAR-308 Bolt Carrier Group in a RRA LAR-308 Rifle! You can only use a DPMS GII Bolt Carrier Group in an DPMS GII Rifle!. You can only use a DPMS LR-308, 308 AR Bolt Carrier Group in 308’s based on this 308 platform! 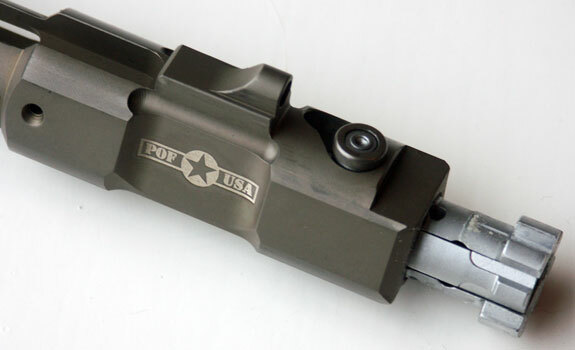 DPMS LR-308, 308 AR Bolt Carrier Groups are the most common 308 BCG’s available. 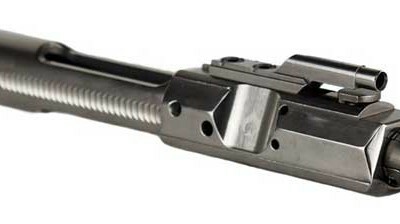 Unfortunately some manufacturers and vendors refer to them incorrectly as AR-10 Bolt Carrier Groups. (See the first bullet above). If the specifications do not actually specify DPMS LR-308/SR-25 contact the manufacturer for clarification. Sometimes a manufacturer will be more specific on their rifle pages. Do not risk your personal safety by using the wrong 308 bolt carrier group. Know you hardware! 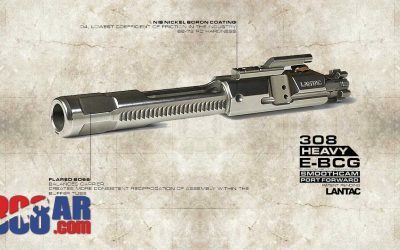 308 Bolt Carrier Finishes – Bolt Carriers are available in a multitude of finishes such as phosphate, hard chrome, titanium nitride and nickel boron to name a few. Research and get what best suits you particular application. My personal preference is for hard chrome. Its what I use on all my gas guns. 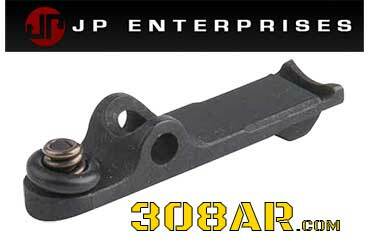 308 Bolt Carrier Lubrication – While I’m an advocate for high tech lubricants in firearms I have found inexpensive Mobil 1 to work extremely well on the 308 AR Bolt Carriers. I also suggest initially running the bolt carrier pretty wet with lubricant. These rifles tend to be a little tight when new. A word of caution, be careful not to let a measurable of oil in the chamber as it could affect proper chambering of a round. Sharing a Bolt Carrier – It’s not advisable to use one bolt carrier group in more than one rifle. The bolt and barrel extension mating surfaces polish and wear together. Using the same bolt in more than one rifle can at minimum accelerate wear between the bolt and barrel extension. The worst case scenario is an unsafe condition from an improperly mated or worn bolt and barrel extension. Headspace – As mentioned previously there is no milspec. 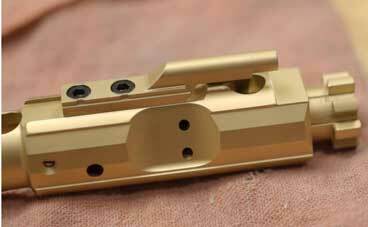 Manufacturers are producing 308 bolt carrier groups to there own specifications and tolerances. Get some headspace gauges and avoid personal injury. There was a time when 308AR/AR-10 bolt carriers were often in short supply. I remember some of us would send each other email messages if we found 308AR/AR-10 Bolt Carrier Groups before announcing them to 308AR.com forums. Today the 308AR/AR-10 Bolt Carrier Groups seem to be everywhere. Some from long time well known and well established firearm manufacturers and other from manufacturers I never heard. Todays entry is the latter. 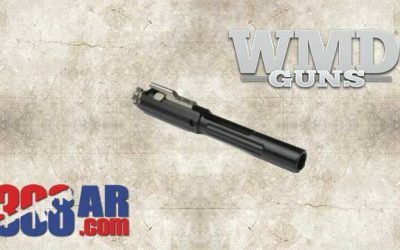 I happened across the “Alex Pro Bolt Carrier Group AR-10 308AR Nickel Boron DPMS Compatible” while browsing The Sportsmans Guide website. 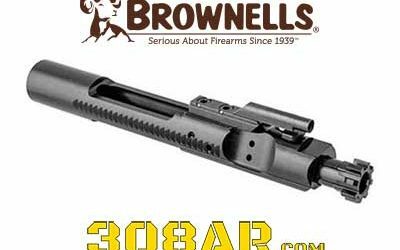 Brownells Exclusive – Prime Weaponry 308AR Titanium Nitride Bolt Carrier Group, ready for installation. Titanium Nitride finish provides a unique look, while provide excellent lubricity, hardness and corrosion resistance. Carrier is made with 8620 hardened steel and the bolt is made from 9310 Vac-Arc Premium Carburizing Steel which has a high core hardness and high fatigue strength. Gas Key is properly staked, and bolt is magnetic particle tested. Brownells Branded 308AR Bolt Carrier Groups come completely assembled and inspected, ready for use in your next 308AR build. Bolt is machined from Vac Arc Premium 9310 Carburizing Steel, providing a high core hardness and high fatigue strength. Bolt is also Magnetic Particle Inspected and shot peened. Extractor is machined from S7 Tool Steel for extended life. Carrier is machined from 8620 steel and properly heat treated. Gas key is machined from 4140 steel and properly staked. Bolt Carrier Groups are available in the standard, mil-spec Phosphate with a Chrome interior, or with a Black Nitride Finish. These 308AR BCGs, are Made in the USA. 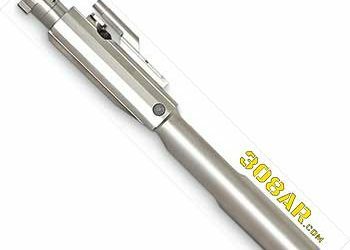 308AR Nickel Boron Drop-in bolt carrier group has a self-lubricating surface that eliminates the need to apply oil or grease that can attract dirt, dust, unburned powder, and carbon and lead to cycling failures. Proprietary EXO-treated Nickel Boron finish produces an exceptionally hard surface that’s 40% more wear resistant than chrome plating, with an ultra-low friction coefficient. Surface is actually harder than the substrate underneath and will not peel, flake, gall, or rub off. EXO-treated Nickel Boron finish bolt/carrier groups have been tested to function reliably without additional lubrication up to 50,000 rounds. Reduced friction also means less heat generated by metal-on-metal contact, so the gun runs cooler and parts last longer. Easy to clean, too—fouling brushes right off. Before treatment, parts are shot peened for surface uniformity and magnetic particle inspected to make sure there are no hidden flaws. Gas key is hardened to USGI specs, chrome lined to resist erosion, and comes already staked to the carrier. 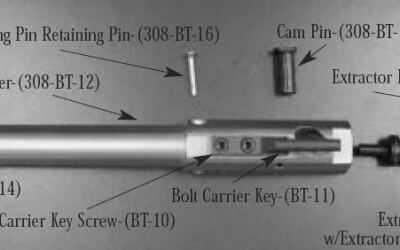 Exploded view of a DPMS LR-308 (308AR/AR308) Bolt Carrier Group.